While the song "Who Knows One" continues to the number 13, Hannukah concludes with the number eight. The eighth day of life is the day of circumcision for the Jewish male child, a sign of visceral and anatomical attachment to the Covenant with God. Eight represents too a realm of the beyond, a space outside of the natural span of seven days, the basic unit of time corresponding to the completion of the Creation of the world. Thus eight suggests the transcendental, that which knows no end. While we may be saddened by the conclusion of Hannukah and all its moments of miraculous celebration, the last light-the eighth-assures us that the noble, the sacred, the good of life are essentially un extinguishable since they occupy a place of eternity, a place beyond time. May the lights of Hannukah continue to warm our hearts and bring joy and the recognition of gratefulness to all . A final Happy Hannukah until next year, with God’s blessing. The number seven is not only popularly considered a lucky number but is perhaps the most significant of all numbers in Jewish tradition. If asked for a reference to seven in Jewish life the common response would be the seventh day of the week-the SABBATH. I can think of no more accurate answer. Seven brings to mind the sanctity of time-the Sabbath, the festivals of Succot and Passover, the cycle of the Sabbatical and Jubilee years. On the seventh night of Hannukah , I ask you to pay attention to time and its holy significance. Time is neutral, a raw gift given to each one of us. It is within our power to waste it, to kill it, to spend it, to while it away or to sanctify it. The seventh light reminds us of the unprecedented and cherished gift of the Jewish people to the world -the gift of the Sabbath as a day of rest, renewal and rejuvenation. Above all, it is a day of gratefulness during which we do things-eat and drink well, dress up in our Saturday best, engage in intimate relations with beloved spouses, pray and meditate, study, relax, and cease from competitive activity-all designed to enhance our consciousness of the gift of God's creation. We replenish our spiritual reservoir of being grateful in recognizing the wonder of life. How can we not be thankful for this blessed day! Without the six orders of the Mishnah-the early law codes of Rabbinic Judaism- the Torah would remain incomplete. The reference of six pertains to this monumental work upon which the entire structure of Talmudic law and lore is founded. Mishnah means to study, to review, to interpret, to change. At the heart of these creative activities is the striving for order, for meaning, for significance and predictability. Chaos is inimical to human growth. Thus, the six orders of the Mishnah, our point of consideration on the sixth day of Hannukah, heightens our gratefulness for the capacity to bring order out of chaos, to recognize the patterns and symmetries of the world and of life. This evening, the Sabbath, is ushered in by reciting the Kiddush, the blessing over wine. We begin with the words-“It was evening and it was morning, the sixth day;” creation was complete, leading to its culmination in the sanctity of the Sabbath day. The precursor to the peace and serenity of Sabbath is the creation of an orderly universe, a psychological and spiritual frame of reference that allows for human joy and limitless blessing. On this sixth day of light we thank the Author of order for the gift of perceiving the patterns of life that make our lives manageable and meaningful and opens the way for greater flashes of soulful illumination. Happy Hannukah and Shabbat Shalom. Since 1978, the fifth day of Hannukah has transformed itself from the carefree delight and magic of childhood to the subdued moment of sad memory. On the fifth day of Hannukah, my father died. Thus, the flickering shadows of the fifth light fuse into the dancing reflection of a yahrzeit lamp ; miracle and memory merge. The number five brings to mind the books of the Torah, five in all. As Torah teaches, so do fathers. Those who are scholarly instruct their sons in actual Torah; those without formal education, convey matters less of the intellect and more of the heart. My father, a working man all his life, shared with me the lessons of a grateful and contented soul. Beyond the Torah of a simple life, he taught his children the Torah of decency, hard work, and respect for others. His proudest pedagogy was the love of melody and song. His wonderful tenor voice filled our home with sacred sounds- those of the prayer book, opera and popular song. Not a moment goes by today without my mind echoing resonance of the singing voice. On each and every fifth night of Hannuka I say thank you to my dad. May his memory continue to adumbrate with melody. Three is not enough! However sturdy the three legs of a tripod, to guarantee groundedness, you need four. We arrive at the feminine dimension of divinity, the four Matriarchs, Sarah, Rebecca, Rachel and Leah. Midpoint in the process of en-lighten-ment, perhaps we find our spirits lagging. The tripod starts to tip, the flame flickers in the passing wind of a cold wintry night. Will the fire founder, flit away, leaving behind a dying ember? Mothers and sisters restoke the fires, breathing life into smoldering ash as they caress and nurse and nurture. The bearing of arms is no match for the power of a woman’s breast. Weapons of iron and steel melt before the wonder of the womb. Maccabbees we praise , and so we should. 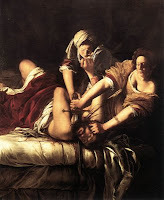 Have we forgotten the Judiths who transcend the gentle trace of a woman’s touch to breathlessly behead the drunken enemy of Israel ; the Hannahs of history , whose sons surrender to the altar of sanctification, so that the Divine name never be extinguished from the imagination and hope of the human heart ? We add women to our Menorah, ascending on the ladder of the holy, those concealed from view behind the flaps of desert tents, awake and attuned to the nuance of every surprise, however serendipitous, never failing to fill in waterless wells with the tears of deference and defiance. And so we cradle in our hearts the memory of matriarchs, gratefully, lovingly. As we kindle the fourth light, taking strength from the miracle of the feminine side of all of existence, we continue to witness the luminescence of the days ahead. The three lights on the Menorah elicit the association to the three Patriarchs of our spiritual history-Abraham, Isaac and Jacob. They represent the pillars of our past, upon whose presence , memory and unique spiritual attributes we stand and to whom we remain indebted and thus are able to continue our tradition on the firm foundation of these forefathers. The merit of ancestors that we draw upon in prayer and bolster our own sense of spiritual worthiness is a powerful reason for feeling grateful as we kindle the three “patriarchal” lights. Not only do we share in a contemporary community whose minimum number is two, suggested by last night's candle lighting, but we are also an integral component of a vertical community that stretches back to the beginning of Jewish time. We are never alone if we link ourselves to the past, connecting ourselves to the chain of a cherished Jewish heritage and tradition. As we light our candles or the wicks swimming in olive oil, we quietly thank Abraham for his hospitality, compassion and courage, Isaac for his reverence for the Divine and Jacob for his sacred struggles and his ability to find God even when shrouded in the lonely darkness of encountering the mystery of the unknown and the unexpected. While one is essential to our striving for unity, this number suggests a sense of inescapable loneliness. God was alone and He created the human. Adam was alone, and “it was not good for man to be alone.”Woman was created. We come to the first couple, the first relationship, the first hope for the easing of loneliness and the creation of community. Love arrives, as do difference and strife. As long as we stay in touch with oneness, our sense of togetherness with the other can stay strong and sacred. As long as we recognize the oneness of God in the other, we are never alone. Sephardim are inclined to remember people of flesh and blood, brothers who are icons and heroes, Moses and Aaron. I prefer people, not only those who are larger than life. Ordinary people, companionship, the sharing and giving and loving that grow from at least two. This partnership gives rise to gratefulness, thankfulness for the light of being together with another, holding hands and facing the future never alone. I can’t help but draw a numerical connection between Chanukah and the lyrics of a song which will be chanted not when there is snow on the ground but when spring starts to release its liberating softness and warmth. The song I have in mind is sung at the Passover Seder –“Who Knows One.” Each stanza asks the question, to children, of course, whether they can identify vital parts of Jewish tradition in relation to their numbers or numerical value. It seems almost natural to understand, at least poetically and associatively, the significance of the eight candles of Chanukah by looking through the lens of this charming children’s chant. Moreover, perhaps the consideration of these numerical references will allow us to gain a better sense of newness and freshness with each of the eight nights of the holiday. We begin, I believe, with the most important night, the first one. Who knows One? Why is the first night so vital to the miracle of Chanukah? Its relevance is obvious- One is Our God, Creator of heaven and earth. What does Oneness mean? Why is the Oneness of God so pivotal to the entire structure and enterprise not only of Chanukah but of Judaism as a world outlook and religious culture? The answers are limitless. I am grateful for the following. Is power for unity of God with all things. 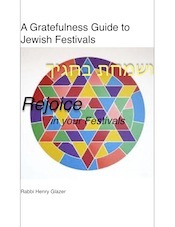 As I record Chanukah reflections connected to the capacity for gratefulness, I realize that I have reached 165 postings on my web site. Ever open to numerical associations,it occurs to me that the number 165 is a significant one in the history of Chanukah. It was, according to most reliable historical accounts, in the years 165 BCE that the event of Chanukah took place. Coincidence? Perhaps,or another tiny example of life's infinite miraculous minutiae? The principle of the everlasting, the indestructible, the enduring associated with the cruse of oil that burned beyond its physical capacity of one day is a clear reiteration of the symbol for the miracle of life’s unfolding quality which never diminishes to extinction ,but somehow grows and expands like the universe itself. In the mystical tradition of discovering God in all things, the letter rearrangement of “SHMN” illustrates our ability “to behold the infinite in everything finite.” Light and breath, the essence of living reality, become the basic ingredients for the life of the human soul and spirit as well. Chanukah’s use of the ordinary, the product of the earth, and a tangible act of doing, point to the reality of the extraordinary, a heavenly source, and a spiritual gesture of understanding and intuition. Again we are summoned to pay attention to the lights and to our breath, and in this way perceive the wonder of Chanukah. As lights play a pivotal role in Chanukah, so do letters of the Hebrew alphabet. Like numbers, letters contain rich spiritual meaning in all aspects of Jewish celebration and study. Hebrew words for items of Chanukah can be arranged in various ways to suggest significant symbolic associations. Like arranging flowers in a bouquet, tradition has encouraged imaginative configurations of letters in its conviction that the Hebrew language is a sacred tongue that reflects unlimited possibilities enfolded in its letters and words. The word for the holiday-Chanukah - is constituted by two separate words-“Chanu” and “Kah,” each translated as the following-“They rested or camped”, Chanu, (on the) 25th, Kah, Kaf= 20 while h(ey)=5. Chanukah occurs on the 25th of the month of Kislev. I would interpret the first word –“Chanu” a little differently; it is related to another Hebrew word-“Chen,” grace or favor. Thus Chanukah could be understood as the occasion of special grace, benevolence or love. Returning to the notion of the miraculous on Chanukah, I would suggest that a perception of life that regards everything from the perspective of grace and love is a way of discovering the miracle in all of life. Feeling the grace, the gift of life, is being blessed with a sense of being given to with special favor and concern. We all desire recognition, favor and being loved. The child by the parent, the wife by the husband, the employee by the employer, the actor by the audience. Chanukah’s miracle is the message that the ancient struggle for freedom is a gift bequeathed to all generations as an undying expression of the capacity of humanity and God to grace the world with compassion and love. The legend of Chanukah's miracle as recorded in the Talmud is one of great fascination to young and old. We are told that when the Maccabees entered the Temple after its desecration they discovered one cruse of pure oil sufficient for only one day; lo and behold ,it burned for eight days. If one understands this story literally, then the nature of the miracle is interpreted within the context of the natural world and its functions. After one day, the oil should have been entirely consumed; that's the way the physical world works. Somehow, the laws of nature were altered or suspended, and the oil burned on. I would prefer a different approach, one which corresponds to an understanding that is figurative and poetic, and points to the reality of a spiritual world that we can grasp and relate to in an intellectually and emotionally honest way. 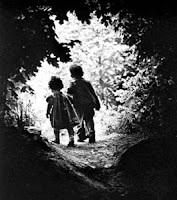 The child's imagination can mature within us to transcend the literal and touch the intuitive and the spiritual. In this way, the message of Chanukah adopts a meaning that is unique because it discovers and embraces a truth that reflects our search for the miraculous within our lives and within the context of natural experience. Imagine the first cup on the menorah with its measure of one day's worth of oil. Before us stretches a period of eight days. Do we view this cup as 7/8's empty or 1/8 full? Herein I believe, lies the spiritual challenge of Chanukah-do we retreat into hopelessness and anger that often accompanies our experience of scarcity and inadequacy or do we welcome the gift of what we have, however its ostensible meagreness, with the joy, faith, trust and gratitude of witnessing what we have as a gracious act of Hessed, of favor and goodness, bestowed upon us by the Source of All ? In times of want, when so many are not going to be showered with the material bounty which we have grown accustomed to, perhaps the lesson of the single light of the menorah is to remind us that this modest measure of oil, a symbol of prosperity , the fuel of light and warmth, has the power to awaken our capacity to feel thankful and to sing the praises of the Holy One, and by so doing, to experience again, with elation, the wonders and the marvels of Chanukah.
" Al Hanisim..." For all the miracles, especially the precious little in that one tiny cup, we are filled with gratitude on this day. The key artifact of CHANUKAH is light, a candle or cruse of oil, NER ,in Hebrew. An essential characteristic of the act of kindling is its complete non-utility. Typically, lights are kindled at night to allow for the continuation of human activity. On Hannukah, however, activity and utility are suspended in the face of a greater miracle of human existence, namely the capacity and blessing inherent in the natural response of human perception, looking and seeing, not so much with the eyes as with the heart and soul. “We may not put them-the lights-to ordinary use but are to look at them” to be reminded of the miracle of existence. Light is a silent song; indeed , a dance of color and luminescence. Gazing upon a little light flickering in the darkness is a gesture of profound spiritual significance. We are one with the tiny flame, sparks sprinting into the shadows , the soul’s inextinguishable energy, its refusal to die . Is it any wonder that Jewish law decided that the correct pattern of candle lighting should correspond to the School of Hillel, and not Shammai, to begin with one and end with eight? Shammai's approach, to begin with eight lights and descend to one on the last day represents a diminution of the human spirit which is everlasting and boundless. We dare not decrease holiness in our lives; to use the light for a purpose other than its own reflection is to distract our attention from life’s holiness, to decrease the intrinsic sacredness of light and all the beauty and blessing it alludes to. And it is not the quantity of light that counts. We are told that a large light ie. a bonfire does not qualify as Hannukah light. Perhaps the smallness is what gives Hannukah its power. The armies of Greece were large, mighty, over- powering. Israel was small, physically feeble, with only the wee flame of faith in the power of the human spirit. Therein, lies its triumph. Chanukah is in the air-You can't avoid it even though its actual celebration doesn't begin until Sunday night, Dec.21. Newspapers and other media have already announced its imminent arrival to help us prepare for the holiday and to promote the "business" of Chanukah. 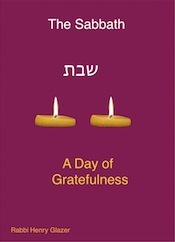 Thus my thoughts too turn to Chanukah, as an occasion for spiritual insight and growth. In seven words I believe that this extraordinary poet captured the essence of Chanukah. PAY ATTENTION-When kindling the Chanukah lights, we are enjoined to observe the lights, without the gain of any practical use. "We may not put them to ordinary use, but are to look upon them and be reminded to thank and to praise..."
BE ASTONISHED-"...for the wondrous miracle of our deliverance." Are we not to be astonished not only on Chanukah but everyday for our deliverance, for living each day successfully and being able to expect the next one? TELL ABOUT IT- One of the prominent characteristics of Chanukah is the invitation of the tradition to publicize the miracle-"pirsumah nisah." Unlike so any other Mitzvot which are performed in a less public manner, Chanukah is different. We are enjoined to tell about the miraculous, to share the wonder of Chanukah and life as a whole. Not to arrogantly announce but to humbly and gratefully communicate through words and deeds. 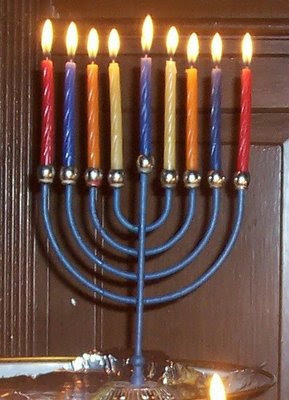 Since there are eight days of Chanukah, I hope to consider more dimensions of spiritual value connected to this popular yet historically "minor" holiday. 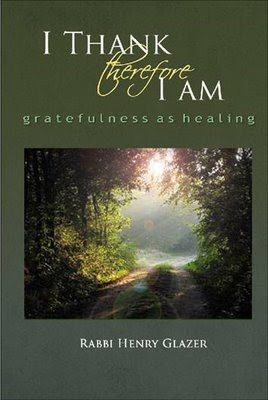 Since the publication of my book-I THANK THEREFORE I AM-GRATEFULNESS AS HEALING-I have struggled with the proper and successful path of its promotion. I have no intention of deriving a livelihood from its sale-as a matter of fact I would be most pleased to be able to distribute the book freely-it would be a tangible expression of the book's basic concept of gratefulness and viewing all things as gifts. Unfortunately, I have incurred considerable expenses in self-publishing the book which leads me to expect some financial return. A good friend, a poet and an open-hearted soul, made the following suggestion for which I am most grateful. "Why make the honorarium be the fence that prevents you from engaging the world with your labor of love? What if you proposed that they pay whatever they want? It would be an act of deep humility that opens many doors. You would be living your message of gratitude and communicating it in the most direct way?" As I read these words it became abundantly clear that my friend had reflected the path of gratefulness for my own spiritual enlightenment. My gratitude for this moment of clarity is boundless. Therefore, in the spirit of gratefulness I offer my book at whatever you wish to pay. You may contact me at: glazerh@gmail.com for a copy. A shipping charge may be added. The economic downturn the world now experiences brings us much fear and pain. Yet, this time of less has much to teach us. It is also a time of irony which etches onto our consciousness the painful realities of life that can convey strength and wisdom. A full page advertisement appeared in the New York times on the weekend of Thanksgiving. It's heading read: HERE'S TO LESS. The source of this statement was the DE BEERS FAMILY OF COMPANIES-the world's famous producers of diamonds whose logo is likewise widely known-A DIAMOND IS FOREVER. I was deeply struck by the words of this ad as they transmitted a message so unlike its ordinary urging that the world buy a thing-a diamond-with the implication that of all things the diamond is forever, it is an item of permanence and eternal value. While the strains of "Diamonds are a girl's best friend,"echo a similar sentiment, the aim of this particular ad belied the song's seductive declaration . Allow me to share the words of this message. They ring out with a resonance of spiritual reality for which we can all be grateful at this challenging time. possessions we own but do not treasure. Stuff we buy but never love. To be thrown away in weeks rather than passed down to generations. disappeared, what would she truly miss?" Clearly implied in this statement is a subtle reminder that the diamond is the sole object of value which can "Be passed down for generations" and the "she would truly miss! "You can't avoid the obvious need of a corporation to promote its product however difficult the times. If seen spiritually, however,these words can tell us something entirely different. What is of ultimate worth and meaning is not a thing-even a diamond's value is transient- but rather the indestructible importance of the intangible yet real gifts of human life- love, compassion, gratefulness and shared joy. As this season of gift giving surrounds our everyday awareness, I am grateful for the ability to recognize the eternal value of that which is internal to our lives, the blessings of the human soul. Several days ago I received a request for an appropriate reading at a Thanksgiving Day dinner table. With it was an apology for directing the question to a rabbi since "Thanksgiving is a secular holiday." Technically, of course, the questioner was correct. The origin of Thanksgiving is not a sacred text or an ecclesiastical body of religious scholars or saints but rather the government of the United States of America during the administration of Abraham Lincoln. Yet, it is my firm belief that Thanksgiving is in essence one of the most religious of all holiday celebrations anywhere. Any occasion that highlights the meaning of gratitude in the context of our spiritual lives is ultimately a profound religious opportunity. Football games and elaborate cuisine aside, I don't think any other holiday in America quite constructs a context in which individuals and families can encounter a sense of gratefulness for the prosperity we enjoy ,as Thanksgiving. Even places of need like food and homeless shelters go out of their way to provide a special festive meal in order to enhance the capacity of everyone to feel thankful and blessed. So universal a sentiment is gratefulness that no religious faith anywhere on this planet is devoid of a core concept, doctrine or ritual that does not embrace the practice of articulating and acting upon a deep sense of gratefulness to the Giver of life and all things. Secularists who are spiritually inclined recognize too the human need to acknowledge the gift of life in all its manifestations. Thanksgiving speaks to the stomach, to our taste buds, to our need to be entertained, and to our faith in family. Above all, when we feel thankful even for a passing moment, this occasion invites us to touch our souls as well. A happy and grateful Thanksgiving to all. Yesterday, Shabbat Vayerah, the Sabbath on which we read of Abraham's eyes and heart opening to the divine, I ended my spiritual quest for a community that I tried to build as a rabbi myself. Having heard of the synagogue from many sources, my wife and I decided to attend Shabbat morning services at KEHILAT ROMEMU, a traditional renewal synagogue located in the Upper West Side of Manhatten. The space was located in a church; the room was dimly lit, and we discovered a beautiful and fragrant rose at our seats. The flower lent an added dimension of sensual awareness of Sabbath's delight and divinity. The rabbi, unlike most that I have known, created a warm, available and open presence to which everyone could respond with an open heart, never fearing the intrusion of guilt or reproach. The worship journey was saturated with song, chanting, moments of meditation and substantial portions of the traditional format of the Sabbath liturgy. We "daavened" but not in the conventional understanding of the word. Commonly, we think of "daavening "as a race of many words, an exercise in quantity rather than an experience of inner spiritual quality. Here "daavening" meant to enter into the soul of prayer through spontaneous and spirited singing and chanting. We arrived at a prayer that I consider the most important to me-"Nishmat Kol Hai"-the breath of all things ...sing Your praise, words embossed on the "atarah," the crown of my prayer shawl, words that I have recited and sung countless times only to encounter a constricted and impermeable heart. This time I wept as the iron gates "guarding " my heart slowly swung open and the praise of other open hearts gently turned the rusted lock of my heart with the key of community intimacy and care. Aliyot , honors to the Torah were not assigned, not given out because of favor or status, but rather on the basis of a felt need of the congregation. This need was arrived by the masterful interpretation of Rabbi David's touching comments regarding the content of the Torah reading during which he touched the deep personal needs of the congregation with the power of the Torah text. Blessings over the Torah were recited in group fashion, all honorees surrounding the Torah with arms extended around the shoulders of the others, forming a circle of community reminiscent of Israel standing at the base of Mt. Sinai encircling the sacredness of that moment of revelation. Rabbi David's breadth of spiritual encirclement extended beyond the wisdom of Judaism as he recited a poem by the Sufi mystic, Rumi, and transformed those words into "divrei Torah," holy words of our own tradition. The service ended of course with Kiddush, wine, hallah and light refreshments. My wife and I left,spiritually saturated at least for a few moments, grateful that Romemu had opened our hearts.
" Baruch ata... shecheyanu, v'keyemanu..."
I am deeply grateful to the Source of All things that I have been kept alive and sustained to celebrate this moment. We almost ran into each other, literally. I was going from room to room visiting patients as part of my chaplaincy efforts in the hospital and he, as a physician, had just met with an individual patient. Having sustained the loss of parents and other family members over a fairly brief period of time, and wishing to honor their memory and derive comfort for himself ,Dr. H. had attended nightly services for several years at the synagogue I had served as rabbi. I always found him to be thoughtful, soft-spoken and gentle, someone easily approachable and enjoyable to be with. We had not seen each other for several years and naturally caught up with each other's recent experiences. We found ourselves commenting on the current economic crisis and its effects on society. He shared a wonderful insight of human nature that related to my on-going engagement with the concept of gratefulness as the essential spiritual path to human joy and well-being.
" I have discovered that most important words in the English language that tap into human meaning begin with the letter "E." Perhaps the most important words that capture the driving forces of life are- Economics, Ego and Envy." In other words, the basic motivations for all human behavior can be reduced to these three considerations. I responded with gratitude for the insight. As I returned home and my thoughts wandered to the meaning of the day, Veteran's Day, I could not help but remember what the good doctor shared with me in the hospital corridor. At risk of over -simplification, could one not understand the root causes for war as residing precisely in the intractable power of economics, ego and envy? When one goes to war to conquer territory and natural resources, is the reason not economics? When a totalitarian state undertakes the subjugation of neighbors, is this not a reflection of personal and national egotism reaching idolatrous proportions? And when countries, greedy for power or prestige, for wealth and glory, embark on military adventures, do we not encounter the dominance of envy in human affairs? Along with these sobering, even gloomy thoughts ,I extracted a sense of gratefulness from the knowledge that humanity can in fact conceive of a reality embraced by gratefulness and cooperation, not envy, ego or economics gone greedy! As we honor with undying gratitude the memories of those who fought and died on behalf of a world of freedom, generosity and gratefulness, Veteran's Day should be a reminder of the side of human nature that is capable of imagining and implementing a world of grateful kindness and compassion which will hopefully render all forms of human violence obsolete, and all warfare buried deeply in the farthest recesses of human madness. Some stood in long lines and waited long periods before they could draw the curtain around them. For others, little effort was required. What embraced me with a special feeling of gratefulness was the face of a young man-probably a first time voter-who stepped out from behind the curtain with a smile of pride and empowerment that captured the essence of being an American. Together with this young man was an elderly woman who was guided through the mechanical steps of voting by a volunteer attendant. Her face too reflected an deeply-etched sense of determined pride and privilege for her somewhat clumsy efforts with the lines of lighted buttons in the voting machine. Voting turnout was at an all time high-a healthy and positive sign of a vibrant democracy. This election was revolutionary in many ways which only bodes well for the future unfolding of a system of government that is the inspiration of the entire world. Perhaps not only the wall of ageism but the ramparts of racism too will finally tumble to the ground in shattered fragments never to be reassembled again, never to darken the light of freedom and hope, giving us the renewed expectation of a time when content and character will count more than all else in selecting a leader of the world's leading democracy. For all the above, I am thankful and grateful on this momentous day in our history. to the source of their life? " 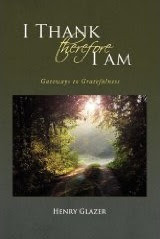 The above is an excerpt from my forthcoming book--"I THANK THEREFORE I AM-GRATEFULNESS AS HEALING." Tomorrow I will be 69 years old.I know that my family and friends will honor me by bestowing a gift of a quiet and modest celebration for which I will be most grateful. Perhaps there will be tangible gifts as well. In fact, however, the giving should be redirected, from me to them- I give them my gratitude for their care, support and love. Thus this birthday I say thank you to family-parents who gave me life and nurtured it, to siblings who served as partners in the act of child rearing, to my wife and children without whom my life's value and worth would dramatically diminish, if not entirely disappear. "If I were God, I would make a world exactly like this one. I love its inconsistencies,its contradictions...I love it that people are free, even to be selfish and to think they own beaches and mountaintops and have the right to keep the poor off them. I love it that things change, that the boundaries of nations and the fences of the rich get torn down sometimes...I love it that I don't know exactly where I am, because it helps me to remember that I don't know exactly where Earth is in this galaxy, or where this galaxy is in this universe, or whether I have only this lifetime or we have many lifetimes . I love supposing this one is the only one, because it keeps me mindful of how precious everything is." A special thanks to the readers of this blog-your interest in the best gift of all. I am grateful to Rabbi Kenneth Stern, rabbi of Gesher Shalom, Fort Lee, NJ for his sermon of Shemini Atzeret, which gave rise to these thoughts. Shemini Atzeret, the Eighth Day of Assembly is sui generis in the Torah for one reason-it has no stated rationale or reason for its observance. The text simply ordains an “atzeret,” translated as an assembly or as a refraining (from work), on the eighth day following the seven-day celebration of Succot. It is both independent of Succot and its appendage. In the liturgy, the mood of Succot, rejoicing, is extended into this additional day. Thus Shemini Atzeret emerges as the answer to our prayers for one more day, especially when we anticipate the ending of a period of happiness and joy. The rabbis poignantly understand this day as one in which God urges His beloved Israel to linger with Him a little while longer-one more day-and not go off to its mundane affairs of work and ordinary activity during which the Lover is not paid much attention to. To me Shemini Atzeret represents a “concert” which has ended but the audience shouts encore and is given the extra few moments of musical joy as the expression of the artist’s generosity of her gift. 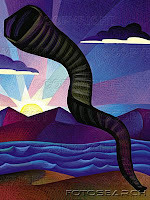 Shemini Atzeret is symbolic of the extra, the untapped talent, strength and capacity deep within each of us. When we arrive at a designated end- the performance is over, the job is done, one’s life nears termination, somehow there is always a little more, a little more goodness, a little more joy, a little more love that can be extracted from deep within our spirits and souls. When we feel exhausted physically, emotionally even spiritually, in some extraordinary way there is still a little more left with which to brighten and bless our world. I believe that the sense of gratefulness with which we view the world is the source for this ‘neshama yeteirah,’ this additional soulfulness that allows us to touch inner resources never before imagined. Seeing the glass not only half- full but a blessing even with a few drops is a powerful source of spiritual strength and fortitude. Perhaps this ability provides the definition of heroism, the transcendent moment of one more day, one more mitzvah, one more act of kindness, one more word of gratitude. Like the High Holydays, which are without ritual except for the Shofar, Shemini Atzeret emerges as a time of pure spirituality during which all we have is ourselves, our loved ones and our God. Perhaps Shemini Atzeret was designed this way to serve as the closing parenthesis of this extended period of spiritual renewal and preparation for the New Year. Tomorrow is Shabbat Bereshit, the Sabbath of Genesis, a new beginning. We are grateful for the one more day of preparation so that our performance in the realm of the human spirit will excel each day of the coming year. Today was the final day of Succot-after today, no more Succah, no more lulav and etrog, no more special festival praise and prayer.Today we added the leaves of the willow to the existing bundle of leaves and plants, the "aravot." At the completion of the seven circuits of Hoshanah Rabah, the great or extended pronouncements of "save us,"we take the bundle of the willow leaves and proceed to whack them against the seat or bench in front of us until all willow branches are stripped bare of their leaves. This beating of the willows represents another tangible effort to extricate ourselves from bad spiritual habits and behavior. I confess that not only children but adults too have difficulty taking this custom seriously and invariably a mood of mischievous silliness overcomes most audiences at this time. Needless to say, when the service is over the work load on the synagogue custodian has increased exponentially. I demonstrated the custom to my students who rushed to retrieve some fallen leaves from the floor and immediately smell them ,commenting on how fragrant these wasted willows were. I was struck for a moment by the unfair disregard we exhibited to plant life, and with an awareness of dying leaves drifting in the autumn air down to their final resting place on the earth below, felt a melancholy pang of sadness. The day before, the silent sun drenched air of a cool October afternoon was pierced by the blasting buzz of a machine that blows away fallen leaves. As I pointed the nozzle in the direction of these layers of brown and yellow leaves, the air was filled with the pungent aroma of dying leaves that seemed to invigorate the lives around us. My nostrils quivered with the sweet tang of autumn leaves. The brown, burnished by the sun's rays ,reflected a golden shimmer, delaying the dryness of inevitable death. Each leaf, alone and abandoned, no longer attached to branch and root, no longer recipient of earth's loving nurturance. I blow these once colorful collections of hallowed hues into piles alongside paths where human feet will tread. They return to replenish the reservoirs of life deep within the earth, touched only by the fleeting hoofs of frightened deer, a gentle trespass of wood's denizen. As the bursting air sweeps the leaves away, I recite a silent Kaddish , a praise of God,hallowing His Name for the gift of leaves, now put to rest after blessing our lives with the fresh green colors of spring and summer and the lush earth colors in the twilight of their 'lives.' They are now rewoven into the fabric of the earth, soon to decompose and re-energize the earth with their life giving ingredients. As they sleep under drifts of snow yet to fall, they will disappear from the sight of man but remembered by the Source of All things. ‘HAVEL HAVALIM; HAKOL HAVEL!’ VANITY OF VANITIES; ALL IS VANITY. Koheleth, Ecclesiates , regards life as simply a recurring cycle of sameness and inevitability. All striving, ambition and human effort is folly. How depressing! Nothing seems to be of any value to the author of this extraordinary book, and yet it is part of Holy Scripture, read in the synagogue on Hol Hamoed Succot,the intermediary days of Succot, regarded by the world as not only great literature but also a masterpiece of religious writing. 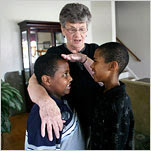 Kohelet sees whatever we consider to be of value, whatever is deemed to make life meaningful and worthwhile, as absurd. Physical pleasures, wealth, power, fame even wisdom are useless achievements. The ostensible ideals of justice, loyalty and hard work, mere illusion. 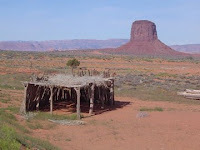 I revisit Koheleth and with new eyes connected to an open heart, I discover an insight that gives meaning to an otherwise empty human existence of vanity and futility. Gratefulness for life in its most elemental components is the gateway to a sense of joy and meaning in life. The awareness of our good fortune in being alive constitutes a fundamental validation of life’s indefinable value and worth while ness. For simcha to be experienced as the fullest joy, conscious mindfulness of life as a gift from God is a sine qua non. It is not the quantity of acquisition or attainment but the quality of thankfulness embedded in our response to each and every gift that we enjoy under the sun.” In daily life we must see that it is not happiness that makes us grateful, but gratefulness that makes us happy.” Brother David Steindl-Rast. Why do we read Koheleth during Succoth? 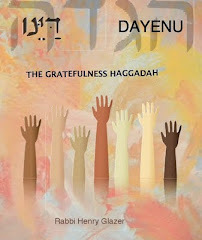 It is the time of our rejoicing,’zeman simchataynu,’ a period of harvest and bounty, our Jewish Thanksgiving. Can you think of any more appropriate book than Koheleth to recite in the synagogue at this time? I cannot. 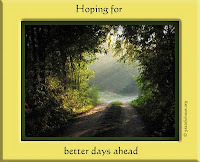 The holiest day on the Jewish calendar has come and gone and after a day of reflection I continue along this path and reflect upon the day that has passed. All of us I am sure are grateful that we can now eat and drink again. My gratefulness extends beyond the thankfulness for no longer fasting. For the first time in 46 years, I spent Yom Kippur as a congregant and not as a rabbi. I was released of the obligations of conducting the service-preaching, teaching, commenting, announcing pages, directing Bimah-pulpit traffic, politely shushing the congregation when the noise level reached unacceptable levels, emceeing and at times, playing stand up comedian. Yesterday I sat with my family and listened-free of the responsibility that falls on the shoulders of rabbis expected to put on an impeccably successful synagogue service. I was able to daaven-to pray with a clear mind and heart, without the preoccupations and anxieties usually associated with the requirement to direct and control the flow of a worship service. I must confess that there were times that I missed being up on the pulpit in the limelight, playing a role that so many were dependent upon. I especially found it difficult not to be sharing Jewish ideas with others. Yet, I was blessed with the unique experience of standing alongside wife and children care-freely singing and praying without a thousand eyes observing my every gesture and motion. I could halt at a particularly inspiring passage or verse and dwell on its meaning without the need to anticipate the next page of the Mahzor-the High Holyday prayer book in preparation for announcing the next page. I had the freedom to think quietly to myself, to consider a commentary connected to a prayer that caught my attention. Simply, I was grateful for the gift of being able to pray on Yom Kippur. For the first time in many years I learned what it felt like to be a congregant during these lengthy and elaborate services. With the hindsight of one such Yom Kippur, I would recommend to my colleagues to sit in the pews with their flock prior to assuming the role of rabbi in order to avoid losing touch with the emotional content of the congregant’s worship experience. As the service unfolded, and a sense of yearning for the pulpit began to assert itself, I silently meditated on my need to be grateful for this change in my life. 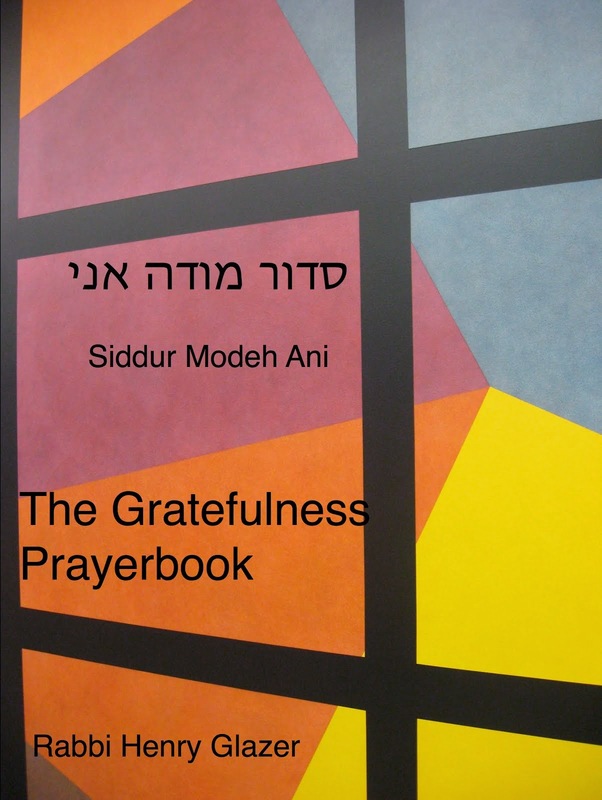 My prayers were interspersed with these gratefulness meditations, helping me to gain the awareness that Yom Kippur was indeed a time of at-one-ment, allowing me to embrace a new reality in my life and being thankful for it. GRATEFUL FOR TESHUVAH-"OUT OF THE MOUTHS OF BABES"
I have mentioned before how delighted I am to teach young children. Not only do my grandfatherly instincts come into play but I genuinely enjoy the imaginative and intelligent innocence of children. The lessons I learn bring me not only laughter but the light of an awareness that is often lost to the minds of older people. I asked a group of elementary school children,grades 1-4, what the meaning of Teshuvah was.Conventionally, it is translated as repentance which in itself is a difficult notion to grasp for both child and adult. Since the students study modern Hebrew and some of them are Israeli, a response from several was :"Teshuvah" means an answer." Indeed, in everyday Hebrew parlance, the word for an answer to a question is "teshuvah." In thinking about this answer it occurred to me that these children had hit upon a very profound meaning of Teshuvah, the concept of repentance , change , return or transformation, all of which are contained in this spiritually powerful word. The process of Teshuvah during this season of the High Holydays is in fact a summons to answer for our lives as spiritual and moral Jews and human beings. Each year we halt our frenetic activities and preoccupations and we are asked:"What's it all about? What does my life mean? Am I living my life as an authentic reflection of my "inner self" and the image of God that was implanted in me? The first step toward change is to ask the right question, to seek the honest answer, to search for a "teshuvah!" The answer is one that each individual arrives at in her/his own spiritual search. General guidelines may help in this quest; only an answer that speaks to our individual hearts and souls will in the end resonate with the song of genuine Teshuvah. The human being was given the gift of being able to ask questions and provide answers. We are grateful for this gift of teshuvah during the Ten Days of Teshuvah which span this period between Rosh Hashanah and Yom Kippur. Moreover the prophet points out a spiritual strategy by which a movement toward Teshuvah can be accomplished. The approach is contained in the urging that you “take words-devarim- with you” and by way of these words you will able to embark on an inner journey toward God. The question, of course, arises: What words does the prophet have in mind? Words of Torah? Beyond a doubt. However, this remains much too general, unspecific and abstract. I believe that the following verses help us define more clearly for ourselves the path of our Teshuva. Words directed at God can become compelling instruments of inner change when directed to ourselves. “Forgive all sins”-Be compassionate toward yourself and toward others; let go of the desire to find fault and seek retribution; turn away from anger and envy and turn your heart to the good and the decent in yourself and in others. “…pay the offering of our lips.” Open your heart and lips with praise and prayer; give voice to your feeling of being grateful for words of praise have the power to transform one’s life into a space of goodness and joy. I spent the Sabbath of Teshuvah, of repentance, not in the synagogue listening to a sermon on Teshuvah but rather alongside a country brook. It was a crisp, sunny early autumn day; the leaves were beginning their metamorphosis from deep green to brilliant reds. oranges and yellows. The air was dotted with falling leaves floating onto the marshy ground below, each a piece of the mosaic carpet covering the earth’s awaiting embrace. refreshing nurturance and cleansing sweetness. If we could only heed the gift of flowing water in a brook, perhaps we can begin to turn our hearts to life’s gifts in their totality, the sweeping skies above and the bountiful, boundless earth below. We are enjoined to return, to experience a homecoming in face of so much alienation and spiritual distance. Sitting among the silent trees, with leaves dancing in the wind accompanied by the music of the brook, I felt at home, at peace, confident in God’s protective promise for the future. Grateful for the gurgle helped guarantee that a home of such beauty and glory will adorn the lives of my children and generations to come. I did not need the chastisements of rabbi or prophet to understand the need for Teshuvah; the still, soft voice of gentle flowing waters seeped into my soul with the power of their message of the invaluable preciousness of life for which the grateful heart can only thank and praise God, and turn to the purity of soul that is our spiritual identity and destiny. On the second day of Rosh Hashanah, the stirring, frightening and disturbing episode of the Akeda-the Binding of Isaac- was read in the synagogue. "Take your son, your favored son, Isaac, whom you love...and offer him as a burnt offering on one of the heights..."(Genesis 22:2. )It becomes quickly evident that this command is not meant to be carried out but serves as an almost inconceivable challenge to Abraham's sense of trust in God. The text goes on with a poignant description of a father-son relationship. "...and the two of them walked off together." The depth of this kind of relationship assumes the most compelling of dimensions. What emerges in the Torah narrative is a shared commitment between father and son, between parent and child, between the generation of life-givers and the generation of life-receivers, to an ideal or conviction that transcends life itself. It is a most powerful metaphor for cross generational unity and mutuality. For me, on Rosh Hashanah, I experienced, in not a fearful but a joyful and grateful way ,the walking together with my son, as we shared in the "mitzvah" of bringing the beauty of Rosh Hashanah to patients who were unable to be in synagogue but for whom their sacred space was the hospital. We shared our presence, our greetings, our wishes and prayers for health, and our breaths, as we each took turns in sounding the shofar for this unusual congregation. My gratefulness was such that these few hours of 'bikur holim,'visiting the sick, was not a sacrifice but a gift to me and I believe to my son, the incredible gift of sharing ourselves together for the sake of others. I am most thankful for this experience, and its memory nurtures my sense of gratitude beyond the moment of its occurrence. For the first time in over 45 years, I will not be officiating at formal synagogue services. I confess that I am overcome by feelings of strangeness and disorientation. I no longer experience the familiar feelings of being frantic before the holiday, wondering if my sermons are adequate, reviewing in my mind all the necessary procedures of a "successful" High Holyday service.Instead, I am relaxed, free to think and meditate on the spiritual significance of the occasion and free to records these words. My "synagogue" will be a hospital where I expect to conduct a brief, televised service for the Jewish patients and then visit with them.I will then join others as a congregant for the remaining segments of the service. I am grateful for the opportunity to make use of my skills and knowledge for the benefit of those most frightened and alone on a day which brings so much joy and togetherness to others. Previous times have separated me from my family-I look forward to being in their loving company participating in the Rosh Hashanah meal with a state of mind that is serene, grateful and especially joyful. The word "Shanah" suggests change. We are usually reluctant to change, fearing backsliding rather than advancement.Rosh Hashanah summons us to embrace change gratefully and transform each moment of opportunity into gift of blessing for ourselves and for others. May we all be granted a New Year of gratefulness and goodness, and reap much joy from God's countless gifts. The segment that is central to the concept of Teshuva-the capacity to change by turning inward and returning outward to the Source of all things-highlights the heart as the psychological and spiritual locus for this transformation. The challenge of the High Holydays is not only to remember with the mind but to redeem with the heart. During this period of Teshuva Jewish tradition intentionally deprives us of external ritual and directs us to focus our entire festival experience to the intangibles of the heart and soul.The only external object of Jewish celebration is the Shofar, the ram's horn, whose sounds likewise have been d esigned to awaken inward thoughts and feelings of renewed awareness and commitment.The Shofar is a prayer without words whose sounds of brokenness, wailing and eventual hope arouse the heart, the innermost spaces of our identity and meaning as children of one Divine source. For teshuvah to unfold, our hearts must open to the blessings and gifts of life.We taste the sweetness of all things through our senses and mind; in the final analysis however, our most passionate prayer is for God to "open our hearts...so that we may live. "The heart is the home of our lives.May we be blessed with a new year of life that is linked to open- heartedness that brings joy and peace. People often ask: Why do you devote so much spiritual energy to gratefulness? After all, there are many other spiritual ideas and practices that are of equal importance! A partial answer can be found in the Torah reading of this past Shabbat-Parashat Ki Tavo. A major section of the reading is quite depressing and demoralizing. It graphically outlines the curses, the punishments, the catastrophic suffering that will befall those who disobey God’s Torah. Here we encounter the curse of behavioral disobedience. Yet, most interestingly and for me a complete revelation, is the verse that follows. The Hebrew-“U’vtuv lev”- lit. with goodness or fullness of heart, can be translated as gratefulness. Furthermore, the curse befalls us if we are unable to be grateful not only for specially valuable or precious things, but “me’rov kol”-for the abundance contained in all things, in everything. Another way of interpreting the phrase-“me’rov kol” is by translating the words as “most of everything is good!” Life is far from perfect and no one is spared suffering or hardship. By and large, however, life holds out a gift that warrants gratefulness and generosity. The nature of the world is such that life unfolds with the “greatest good for the greatest number.” Most babies survive birth and are healthy; most people have the bare necessities of life; many are the moments in life when we can rejoice and celebrate. This of course, is not to suggest that there aren’t many who are hungry and impoverished for whom we should invest resources and concern. Injustice abounds; but so much of that is human neglect and greed, not the withholding of nature’s bounty. The Torah statement is a ringing declaration of a fundamental spiritual truth: At the heart of blessing is the capacity to experience all things gratefully. Conversely, the absence of gratefulness creates a spiritual void that is filled with the perception of being cursed. Choose life –cultivate gratefulness and be blessed. The Torah insists that first fruits-Bikurim- be brought to the Temple as an expression of gratefulness for blessings of a rich harvest. The act of bringing this gift was accompanied by a ceremony in the sanctuary, which included a declaration of the farmer’s personal link to the history of his people. Bikurim can suggest not only the first but also the best of what one has. Several days ago, I, together with almost two hundred people, were witness to a ” first fruits,” a bikurim, ceremony not in a Temple but in a setting of hope and rehabilitation for seniors in Montreal, Canada. The gifts brought before God were the extraordinary lives of ordinary people. Sensitive to others as sources of strength and inspiration, especially the elderly, my sister-in-law’s journey to the “first fruits” ceremony began with an idea. Why not record the achievements of ordinary people who do extraordinary things? Why not recognize people’s lives publicly so that they may encourage and inspire others? Why not return the gifts of life to these generous souls and in so doing remind them that their lives truly matter? With an ingenious title in mind for the book-Honorable Menschen-she sprang into action mobilizing many at the Senior Citizen center to interview, support and fund this project. As editor –in chief, she made wonderful use of her many skills as a writer and as women of genuine sincerity, she gained the participation of many. The event arrived. Presentations and declarations of connection and affection were made. Amidst these words and audience applause, the twenty “honorable menschen”-from the age of 65 to 104- sat with eyes radiating the light of inner validation and self-worth. They were given perhaps the most precious gift of all-the awareness that their lives had meaning and purpose, that their struggles and triumphs really mattered. Two of the recipients could not speak; paralyzed, they were confined to a wheel chair. In fact, with all the declarations of praise, pride and honor, we all remained speechless, overwhelmed by the spiritual beauty of the moment. At the conclusion of these activities, my sister-in –law thanked me for coming to Montreal and sharing in her joy. Not far from where I live I can see the entire skyline of Manhattan. Today I am keenly aware of the absence of two structures that used to rise above all the others and are no longer- The Twin Towers. Today is the seventh anniversary of that day of infamy and heroism, that day that changed our world and our lives. Again, we remember. Throughout the land and beyond our borders people will gather-in houses of worship, schools, places of business or on busy street corners-to pause, to reflect and to honor. Today our humanity engenders memory. Today, our humanity offers us the gift to transcend and transform horror and pain into new possibilities and renewed hope . The path of this potential metamorphosis is gratitude. Today I am grateful that this country has been spared further terror of the magnitude we remember. Today I am grateful for the passionate heroism and self-sacrifice of so many. Today I am grateful for loved ones who showed the world that in spite of loss and grief of the highest order, somehow the gift of life and love is inextinguishable. Today we stop amidst our busy and self-absorbed lives and for a moment at least, lift our heads heavenward and say: "Thank You." I stumbled on a record I have not listened to for almost forty years. The recording was sandwiched between many other old records,all of which were packed away. After all, we are living in the age of the CD- vinyl recordings are relics of the past to be relegated to the dust bin of history. I retrieved the recording and played it-it was almost an ineffable experience. I was transported by the beauty of the music, especially the voice of the cantor, lyrical and sweet, straightforward in its recitation of the prayer without resorting to the excesses of flourishes and repetitions often heard from Ashkenazic interpreters of cantorial music today. The recording was a Collector's Guild item containing the music of the French Synagogue. It had been recorded before World War II; the heavenly voices of both cantor and choir were brutally silenced in the German death camps. The style of the music is a blending of Ahkenazic-European and Sephardic-Spanish(Middle Eastern) traditions. The music is pure without "extraneous layers and parasitic adornments." As I listened, I responded differently from how I was able to appreciate this music in my twenties. I was always fond of the music. This time however, the music touched a place in my heart that was both magical, majestic and miraculous. I could not help but feel grateful for the moments of listening that escorted me spiritually into the current season of the Days of Awe. The music was, if anything, awesome. I can only refer to the jacket of the record to convey the sacredness of these sounds.When commenting on the arrangement of the music, the author states:"the compositions,arrangements and choral direction are notable for their exquisite, subtle harmonies and tonal balance." I intend to listen to this selection of the High Holyday liturgy as often as I can; I am confident and grateful that it will lend special depth to this season of renewed thankfulness and awareness of life's beauty and wonder. One of the fun things about eating Chinese (kosher, of course) is the fortune cookie. Not the cookie which usually fails to meet even the most elementary standard of a desirable dessert; but the fortune inscribed on a tiny slip of paper is the source of anticipation and excitement. Our minds know that these words are mass produced in a mechanical way and have no bearing whatsoever on the outcomes of our lives. Yet, a tiny part of a deeply embedded feeling, primitive, irrational but hopeful, titillates our thinking into believing that perhaps the words of the fortune cookie will contain prospects of something new and improved in our lives. So, we outwardly engage in a playful game with others as we share these magical portents. Recently my fortune cookie read- "You will soon be given a wonderful surprise!" I thought-this is general enough to cover all sorts of possibilities. And as I found myself wondering what the surprise could be-I was anticipating a series of results to several efforts I had undertaken, especially in my writing- I realized that this fortune had a very profound lesson regarding the concept of gratefulness. After all, is not every moment of every day a surprise, and a wonderful one at that? Our thinking is often mistaken when we look forward to one-time special surprises, all of which may indeed be wonderful, but neglect to recognize the wonder inherent in the gift of living itself. In fact I am given wonderful surprises every moment that I am blessed with life. Each surprise awaits my awareness and gratefulness, and my thanksgiving.